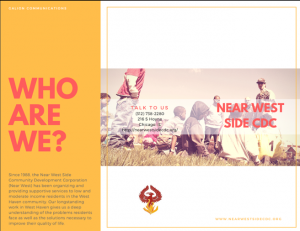 Our project was to create an awareness brochure that would describe our organization’s programs and services. The idea followed from our consulting project with the goal formalizing our organization’s external messaging. Near West Side CDC provides services to low and moderate-income residents in the West Haven community. These services include job preparation, life skills training, financial literacy, social services, youth programs, and housing to residents who would otherwise be homeless. 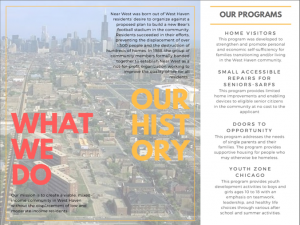 Near West works with residents to create strategies for supporting the neighborhood’s social infrastructure, improving the aesthetic identity, improving access to education, and attracting more jobs to the area. Our original idea (and project proposal) was to hold a carnival event on our organization’s premises. As we reflected on the work breakdown, we quickly realized there were many risks associated with the project that were out of our control and difficult to mitigate. 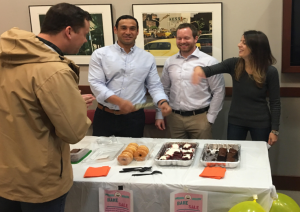 Instead we chose to create awareness flyers which the organization could distribute and cover our costs through a bake sale. We are happy to report that we successfully created our awareness materials and covered all costs associated with making them. The main lesson learned through this project was to understand scope of what you are undertaking and realize you have the power to adjust if the situation requires. Our original carnival idea had many risks: weather, attendance, location, materials, and organizational cooperation. Our team at first felt overwhelmed by the deliverables but was able to pivot, and made the decision as a group to scrap the original idea and to start a new project entirely. Our revised project was much more realistic and had three main paths in the project network: bake sale, flyer design, and content creation. Much more of this project was under our control and could be worked on in parallel to meet our class time frame. Another lesson was to not underestimate the importance of the risk management plan. Even though we significantly reduced project risk after our revision, we still relied on the risk management plan to help us through a few hiccups. For example, we were not able to find a student graphic designer at an appropriate cost to help us design the flyers. Our risk management plan told us to switch over to Canva and design the flyers ourselves after the trigger date had passed without any drama. Our advice is to truly think about the scope of your project before you commit. Take care in your risk planning to decide if the project has a good likelihood for success. Be creative and enthusiastic with your ideas, but also be realistic. Don’t feel stuck with every aspect of your initial proposal and don’t be afraid to shrink the scope to make your goal achievable. 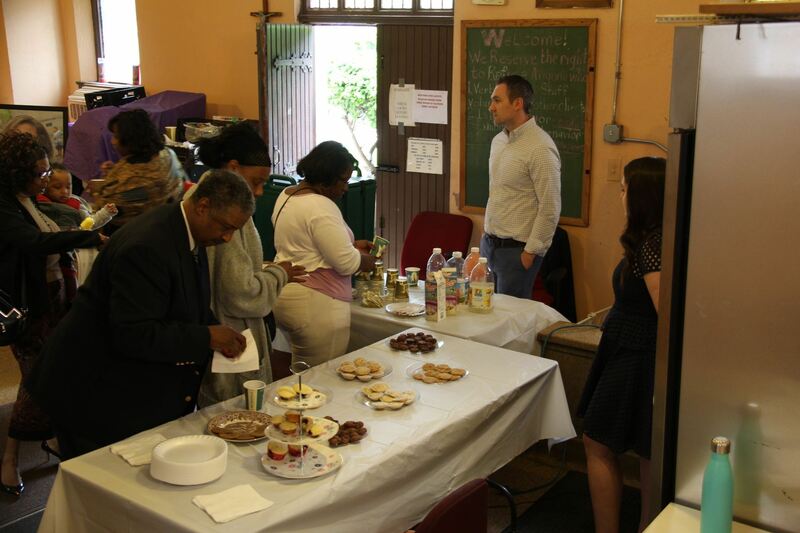 The St. Joseph Services (SJS) group project was a meet and greet that we hosted after both Sunday morning services at the St. Martin de Porres church in the Austin neighborhood. 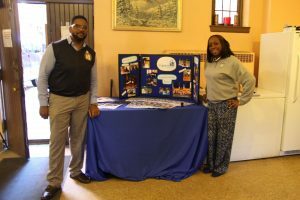 Our goal was to generate local community awareness for the organization within the Austin and Humboldt Park neighborhoods. We provided complimentary coffee and refreshments to the parishioners in order to draw in attendees and worked with representatives from SJS to speak about the organization, hand out promotional material and answer questions. St. Joseph Services provides after school programs for children, adult language classes, and computer classes primarily in the Austin and Humboldt Park neighborhoods of Chicago. In addition to their youth and adult programming, they also foster an environment for developing values and talents through interpersonal engagements in order to strengthen their respective communities. SJS places special care in cultivating engaged volunteers and program staff from the neighborhoods they serve, and places an emphasis on becoming positive role models for friends and neighbors while building programs from within the community. Most of the proffered programs are provided for a small fee, and the organization operates out of third party locations to save on expenses. Our primary goal at the outset of the project was to create local, community awareness for St. Joseph Services. We would host a meet and greet at a local church, with a goal of spreading the word to at least 25 people after each church service. 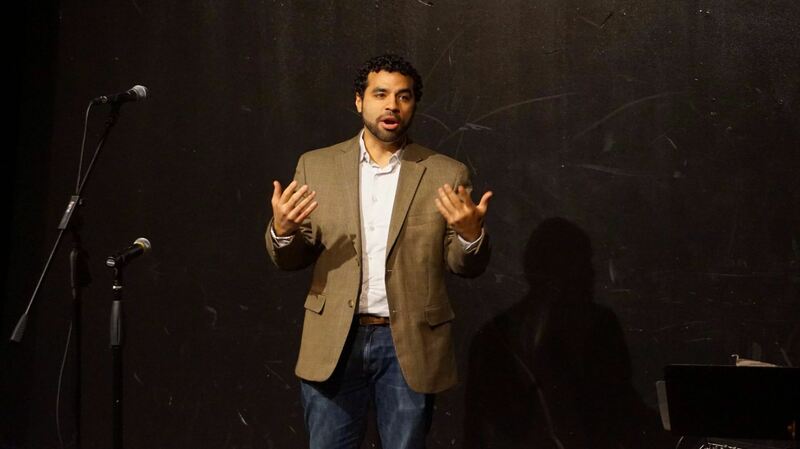 We had planned on hosting two events, one in each of Austin and Humboldt Park. 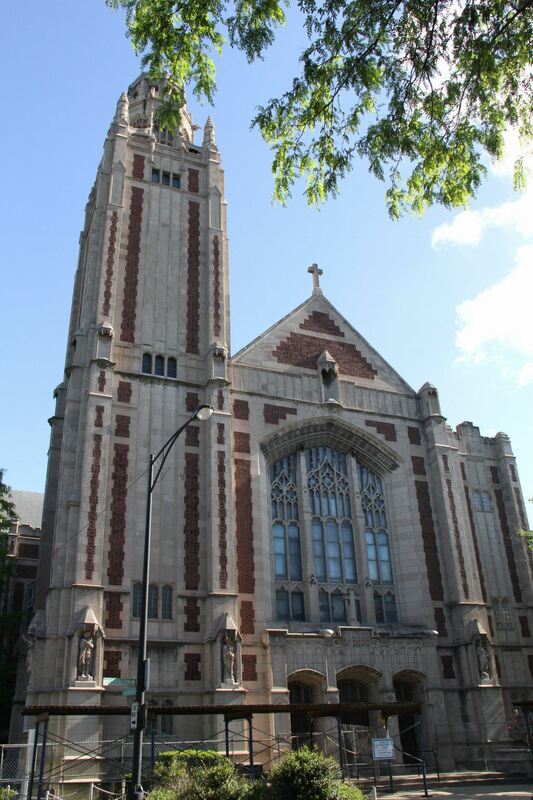 After we were unable to partner with a second church in Humboldt Park, we decided to supplement our Austin event with an online fundraising campaign. Our second goal for our project was to generate $400 in donations through our GoFundMe page, all of which would go towards the SJS summer camp program. We were successfully able to exceed both of our project goals, and therefore deem our project a success. As explained in our initial proposal, our goal for our community awareness event was to speak with at least 25 people after each ceremony. 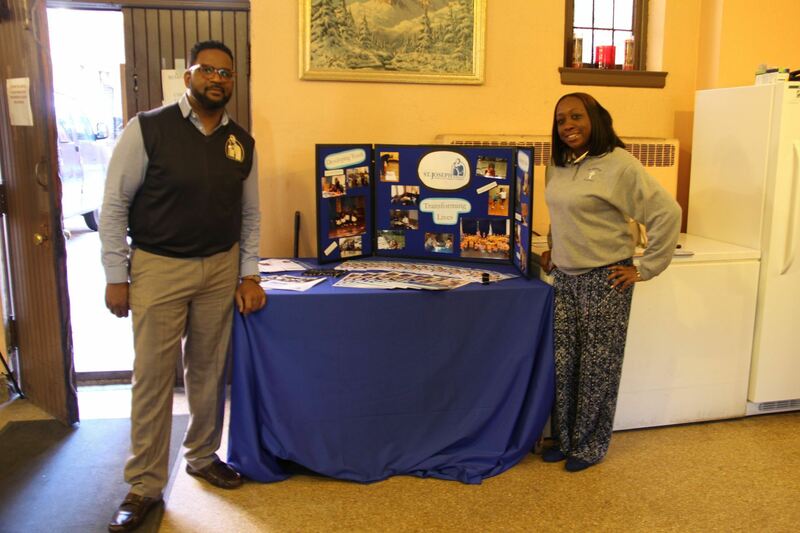 We were successfully able to attract and speak with over 75 people across both masses, well exceeding our goal of 50. We also generated $610 through the GoFundMe page, $210 more than our initial goal of $400. 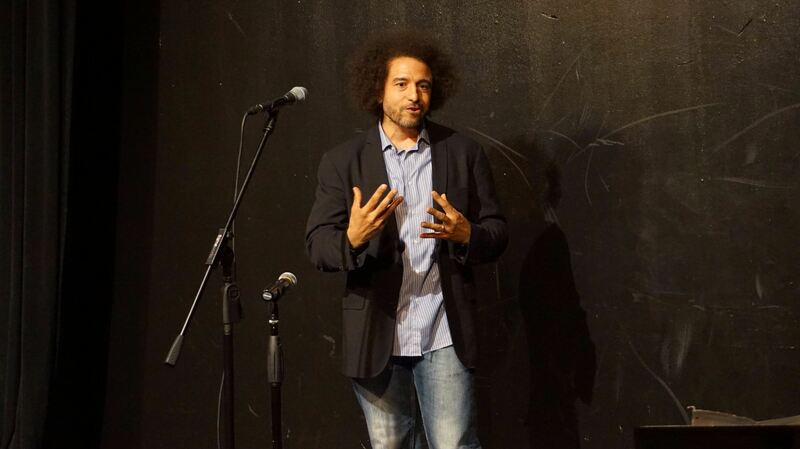 Lastly, we were able to successfully minimize our out-of-pocket expenses spent on organizing and hosting the event. Our expenses totaled $130 between supplies, fliers and other materials, which after being divided evenly, we feel was acceptable and within our spending limits. During our time spent on this project we learned a great deal regarding successful project management. We discovered very early in the process that it was going to be difficult to schedule meetings that fit within everyone’s school and personal schedules. Due to this conflict, we realized early on that we would have to make the most of the time we had together as a group. Having a set agenda and delegating tasks before and after each group meeting allowed us to be time-efficient and focused, maximizing our time together. We were able to have focused conversations around tasks accomplished by individual group members, and spent our time making project decisions rather than working on tasks as a group. Each meeting ended with the delegation of more tasks to move the project forward, and we made sure to maintain regular communication outside of the meetings to address issues that came up along the way. Working in this fashion kept us aligned with our proposed timeline and allowed room for diversions from the planned project plan and timeline. We also learned that in general, when planning a project it is best not to make assumptions. Assumptions on schedules, response time, and priorities can all derail a well thought-out and organized project. 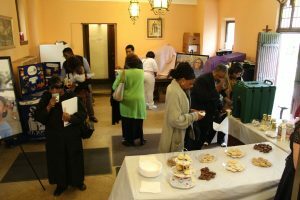 While we knew that not every church would be open to helping us host our event, we made a general assumption that people would be responsive. We were quite surprised that when trying to schedule an event in the Humboldt Park area, our only contact at the proposed venue was very reluctant to communicate with us and ultimately prevented us from having an event there as well. This had an effect on our overall timeline, as we were only able to organize the fundraiser in lieu of the event during the last two weeks of our project. The first piece of advice we would give to other groups is to contact potential venues and schedule dates as early as possible. Scheduling with the venue can be challenging, especially when accounting for personal schedules of group members. Getting this done early will allow for more date options and might be the difference between a successful and unsuccessful event. We would also suggest having backup venues and dates ready in case of unforeseen circumstances or the desired venue is not available during the desired date. 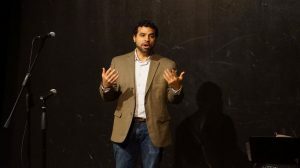 These were all issues that came up for us during the planning stages of our project, and we eventually had to enact one of our contingency plans since we could not secure a second church. We also suggest that when looking for a venue to host or partner with, try to find one that has a similar mission or goals as you and/or your organization. We found that partnering with a church who valued community outreach, which was the ultimate goal of our event, extremely helpful. They were supportive of our project, and made every effort to help us plan our event and make it a success. This allowed us more flexibility in promoting the event, and provided us with additional moral support on the day of. When imagining how our event would have played out with a more reluctant venue partner, we are appreciative of the support we were provided. Finally, we also recommend staying within the original scope laid out in the beginning stages of the project. Deviations from the plan will likely be unavoidable as issues and problems arise, however these changes should be focused on reaching the ultimate project goal. It’s too often that deviating from the plan results causes disruptions in the project and ultimately leads to a decreased chance of success. Making slight adjustments to the proposal is fine and often beneficial, as we found it to be, but trying to achieve more than the group is capable of is a recipe for disaster. Aim high, but stay within the group’s limits, as failing to do so leads to far more harm than good. 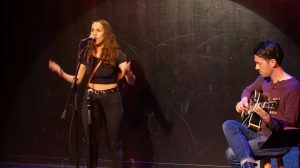 We held a ticketed benefit concert featuring Chicago artist, Michelle J. Rodriguez, at Stage 773, a small theatre venue in Chicago to raise both money and awareness for LUCHA. Michelle is a Latina artist who has a band, MICHA, which plays a mix wide range of original music (including jazz, Latin, R&B) and she has played several similar types of events in Chicago. We promoted the event via social media, the venue, and LUCHA. 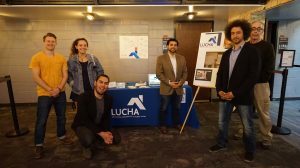 At the event we had a few people from LUCHA speak about the organization and we had a table with promotional materials including ways to get involved with the organization. We also set up a GoFundMe page in order to raise additional money (and awareness) for LUCHA, as well as a 50/50 raffle at the event that helped us raise more money. 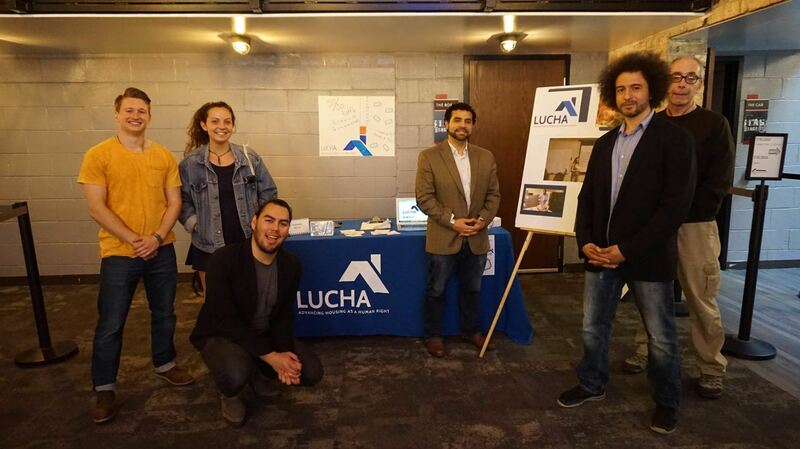 LUCHA, founded in 1982, is the Latin United Community Housing Association. They are a non-profit organization that advances housing as a human right by empowering communities – particularly the Latino and Spanish-speaking populations- through advocacy, education, affordable housing development and comprehensive housing services. Their main goals are to combat displacement and to preserve affordable housing in the community. LUCHA has helped more than 68,000 low-to-moderate income families with tasks such as rental assistance, rent and finding affordable housing, emergency repairs, and many others. In total, we generated revenue of $1,030 and had expenses of $510. Thus, were able to generate $520 in profit! Attendance: Our original goal for attendees was around 45 people. However, we fell short of our goal as we only had seven outside participants. 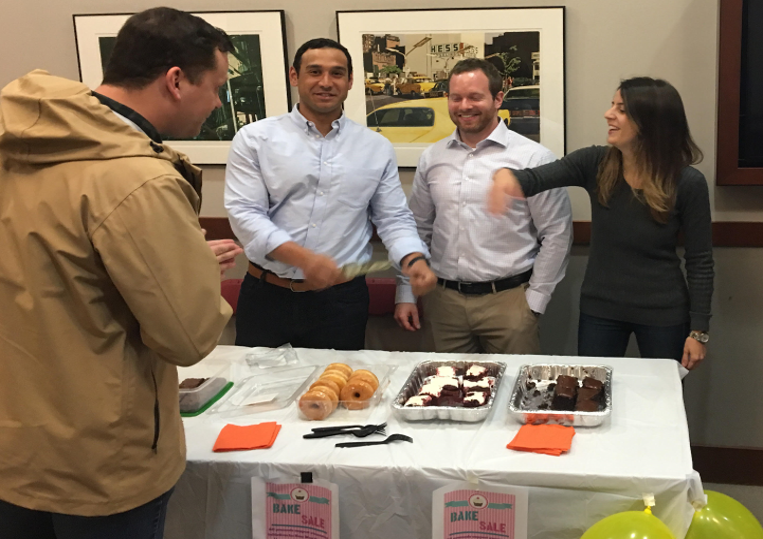 This may have been due in part to our show being on a Monday or a lack of marketing from our stakeholders, but even with the low attendance we were still able to raise awareness and money. Be extremely thorough in your communication process. There are many stakeholders involved in these type of projects, so it’s very important to be as explicit as possible to ensure that everyone is on the same page and knows what’s going on. Selecting the appropriate communication channels for each stakeholder ought to be carefully considered based on varying schedules, preferred styles of communicated, and timeliness of response required. Stay organized and prepared by creating WBS’s and Risk Management Plans. These will ensure that your group is ready to take on whatever tasks needed to complete the project, but will also make sure that your group is prepared for unforeseen circumstances that can affect the status of the project. Assigning accountability through these project management tools helps the project stay on track as well as ensure everyone is working together to complete various deliverables according to schedule. Lastly, it’s important to understand that even with a risk management plan in place, it’s important for all group members to be flexible. This means that each group member is willingly able to adapt to any given situation that may arise and could change the logistics of the event. Communication is again a factor here, as well as a generalized positive and optimistic attitude to carry out unforeseen changes to plans to help the event run as smoothly as possible. Our advice for future teams doing similar projects largely revolves around ensuring they are fully aware and adequately prepared to coordinate the large scope of responsibilities for a benefit concert or event of a similar scale. This event was far more challenging than initially anticipated given the variety of stakeholders as well as the short timeline we were operating under. Therefore, effective communication was key throughout our planning process. We want to highlight the importance of the “ABC Rule” (Always Be Communicating) with the team as well as updating external stakeholders on a regular basis. We found it very helpful to always be communicating whether it was through email correspondence or weekly meetings with our group. Additionally, securing a venue for a concert on a short timeline with limited budget turned out to be more difficult than we originally anticipated. We therefore suggest doing this sooner rather than later in order to ensure you find the best venue, on the date you want and for a reasonable price. Remember, there will be communication barriers with the venue’s and they won’t always get back to you in a timely manner (if they even get back to you at all). Also, when it comes to the money to rent out a venue, thinking through payment is critical. 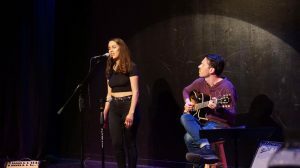 In most cases, the group must put down a deposit up front to secure the venue spot, which creates a risk of losing money should the event turnout fail to generate enough attendance to cover these up-front costs. These are factors that need to be addressed in a project similar to this. Also, we encountered some unforeseen challenges we ran into were permissions and coordinating the exchange of funds. If you’re planning on doing some sort of online fundraising (GoFundMe for example) make sure you know all the logistics about the process of getting the money in and out of the fundraising account. Due to the fact that we signed up as a “Charity” account instead of “Personal”, it made our process of withdrawing the money much more difficult and we needed assistance from LUCHA and PayPal. Lastly, we would advise teams doing similar projects to have an effective marketing channel strategy. 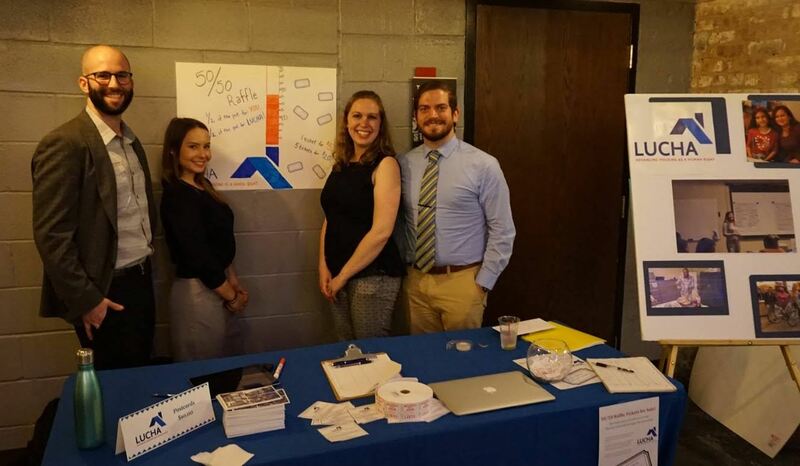 Despite low attendance at our event, we were able to raise awareness, which was our primary objective. We were able to do this through an effective marketing channel by using social media, local marketing and effective relationship marketing. All of these elements helped us raise awareness for our organization and allowed us to meet our main objective. 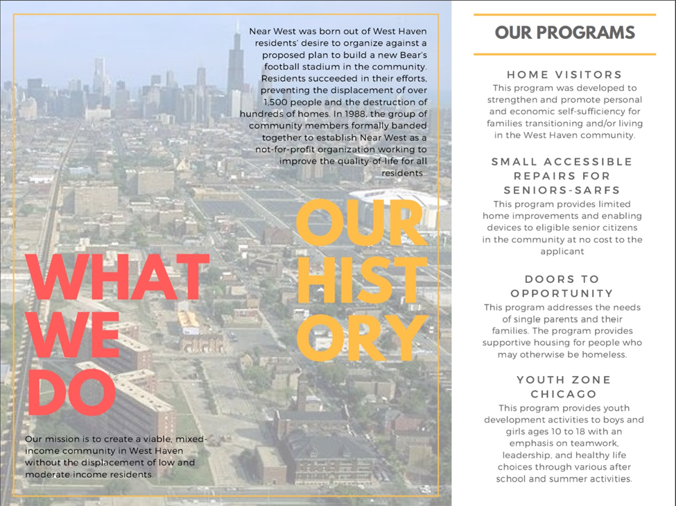 Launched in 2013 by Che “Rhymefest” Smith and Donnie Smith, Donda’s House, Inc. provides unprecedented access and education from leading experts in the music, fashion, and entertainment industry to Chicago’s creative youth and young adults. 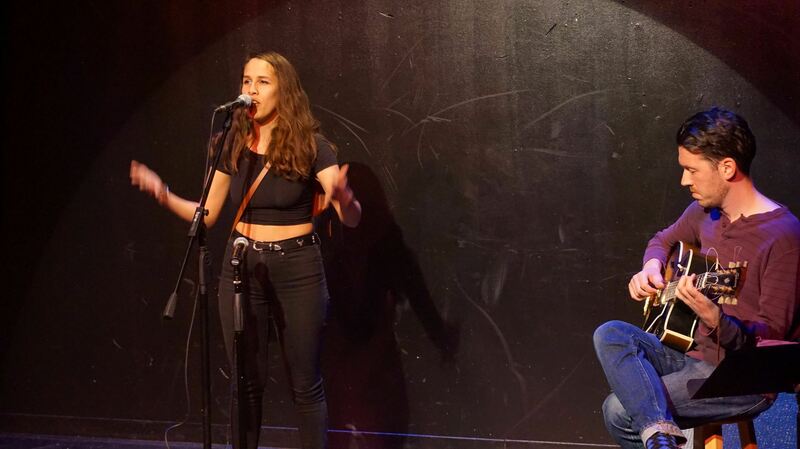 Donda’s House has direct access to accomplished professionals, artists and curators in the industry and leverages these connections to provide training, incentives and employment opportunities for the programs participants who are 14 – 24 years old. 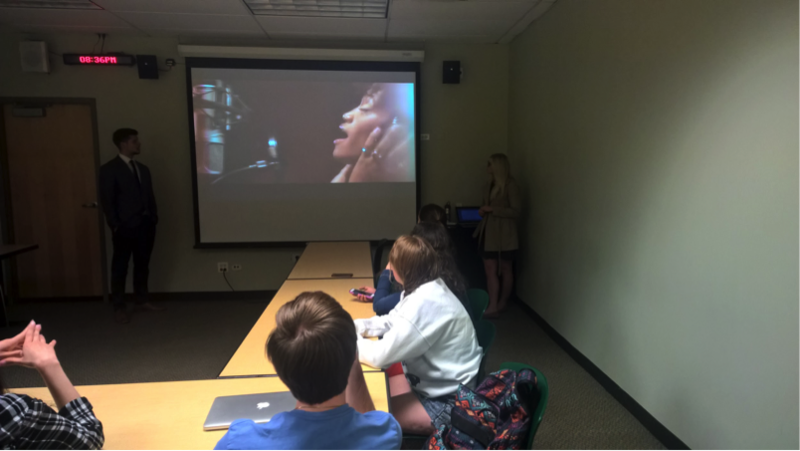 Our project was a presentation pitched to a DePaul student organization, the DePaul Music Business Organization. Our goal was to spread awareness about Donda’s House as well as recruit some potential volunteers that would be able to assist Donda’s House in the future. 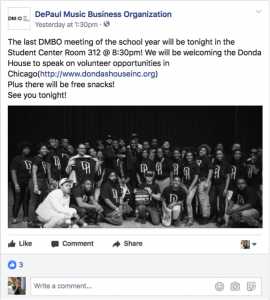 In addition, we also suggested to the student organization that Donda’s House could potentially be a great partner that could bring together great local artists and people who are interested in breaking into the music industry. We worked with the client to draft an initial plan for a donor reception (fundraising event) which would be followed by a Chicago Blues Festival Finalist Audition. We shortlisted a venue based on client partnership, time, and other attractions during the event such as silent auction, raffle, and presentation. We created a risk plan for the donor reception event and brainstormed ideas for a target audience and presentation for an awareness event if initial project plan falls through. Three weeks to the event, client informed that venue partner would be able to honor the commitment and we must look at alternatives. Since we had a contingency in place, we quickly started mapping out specifics of awareness event collaborating with the DePaul Music Business Organization. We reached out to DePaul Music Business Organization and locked on a date to present to all the members of the student organization. 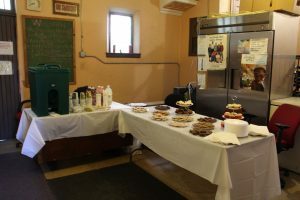 We then finalized talking points, presentation, video introduction and variety of volunteer opportunities to be discussed at the event along with snacks for the attendees. 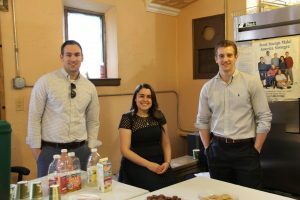 Coordinated arrival of the student organization and project team members to the event location with snacks for the attendees. Delivered the presentation and followed it up with space on student organization newsletter to augment our in-person presentation. We conducted an awareness event for a student organization so there were minimal costs involved in our event. 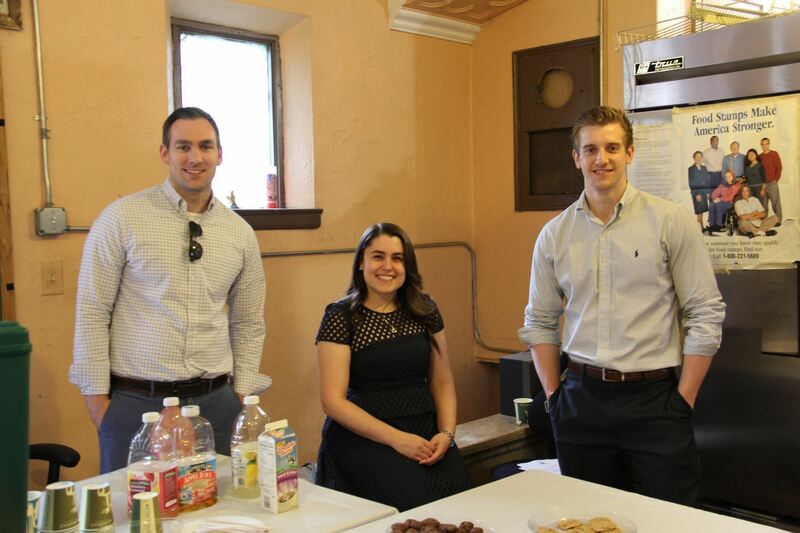 As snacks for the attendees, the project management team made an in-kind donation (cookies) worth $10. Raised awareness by giving an overview of the organization at the DMBO event as well as through channels DMBO shared the event as well as the volunteer link. 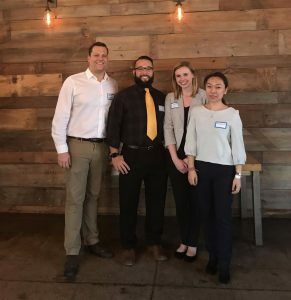 Made the connection between the two to start getting DMBO members involved with volunteering. Received attendee engagement and questions during the event. Received a follow up email from the organization contact expressing members’ interest in getting involved. Our original plan of doing the donor reception for Donda’s House at the Virgin Hotels was pushed back to mid-June, two weeks after Final’s week for DePaul after supposedly being finalized. 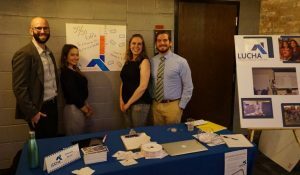 Our team’s response due to a lack of time was to create an awareness event partnering with a student organization from DePaul. 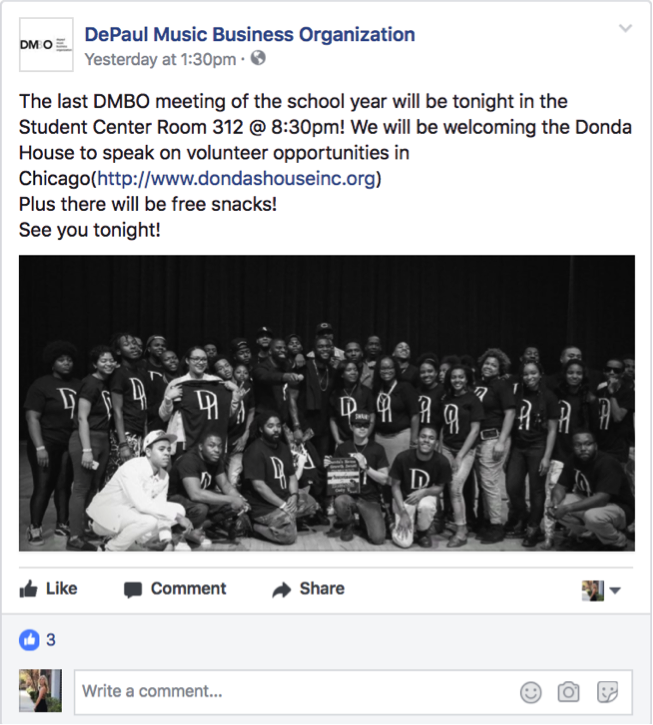 We picked the DePaul Music Business Group thinking the organization was an excellent fit because Donda’s House has connections to top professionals in the music, fashion, and entertainment industry, contains local roots, and can provide excellent resume booster experience for undergraduate students. After agreeing to speak at the meeting run by DePaul Music Business Group, our point-of-contact notified us the day before that nobody from their organization can go to speak at the event we were partnering up with due to scheduling an event of their own on the same day. We responded by quickly asking for the organization to send us a PowerPoint/video that we can prepare and present ourselves during the event. On the hour of our event, there was a clash between pro-Trump and anti-Trump protestors right by Lincoln Park’s Student Center where our event was taking place. Public safety officials and law enforcement officers did not let anyone with a DePaul student ID into the building, so we responded by postponing the start of the meeting with the Group to allow extra time for attendees to come in. Overall, the initial event had to be completely replaced and there was a lack of stakeholder engagement. There were a variety of curveballs that our group had to face and find immediate, effective solutions for. Our response was multiple brainstorming sessions to make our solutions more creative as well as constantly adjusting our risk management plan to potentially stop any future problems from happening. We could successfully come up with a backup plan under a tight time constraint after our initial proposal fell through. Our team met weekly to discuss updates on the project and what we needed to complete that week. This helped keep everyone on our team in the loop and have clear goals and initiatives in place. We were able to make a presentation conveying the ideals of Donda’s House and answer all of questions without a representative of the organization being there. We planned different contingency plans in case our initial project fell through, which proved to be very helpful. We had a communication discrepancy with the organization regarding the event space. We didn’t include a venue issue in our contingency plan, since we thought it was secured. Even if your risk management plan is thorough, unforeseen obstacles may arise. The one logistic detail we thought was certain and was a determining factor of our entire event ended up falling through. It’s the project manager’s responsibility to keep the team positive and to take initiative of brainstorming backup solutions if they weren’t already on the plan. When making a decision that needs to be done quickly, don’t rush it so fast that you don’t think strategically about what the effects could be. If we wouldn’t have taken the time to find a student organization that wasn’t aligned with our nonprofit then it wouldn’t have been a good use of our time/a meaningful event. The time spent up front finding an organization ended up saving time overall. Spend time researching and brainstorming to come up with multiple ideas as a team. Create a substantial risk management plan including all possible risks, as you may need to use it. 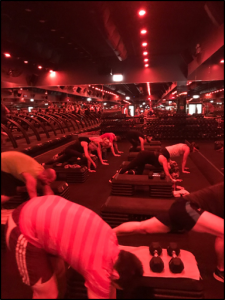 The Blue Demon Consulting Group (BDC) hosted a high intensity interval training (HIIT) workout class at Barry’s Bootcamp to raise awareness and funds for the Global Leader’s Program (GLP) at the Illinois Institute of Technology (IIT). 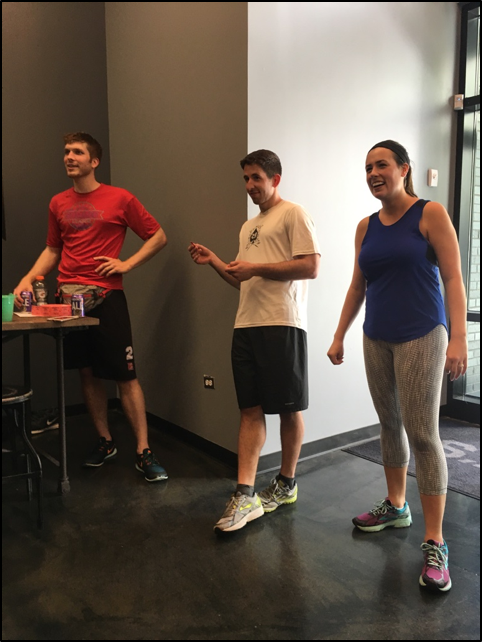 The event was held on June 3, 2017 at 2:15pm at the River North location. 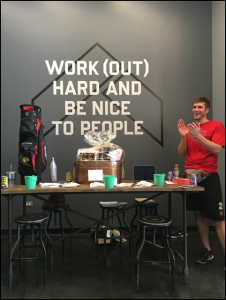 In addition to the workout class, we accepted donations through Eventbrite and hosted a raffle after the class. 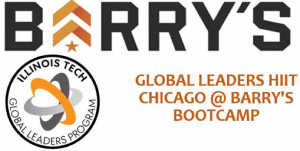 The Global Leaders Program @ the Illinois Institute of Technology (IIT) is a Chicago based free two-year program for high school juniors and seniors. The GLP introduces them to the STEM fields, develops leadership skills, and helps them work on getting into college. Outcome: We sold 36 tickets to the class. 31 of these attendees came the day of the event. Communicate, be flexible, and most importantly, HAVE FUN! Beware of conflicts of interest. One of our teammates has a contact at Muscle Milk that we were hoping to use to have a Muscle Milk surprise for everyone after class. 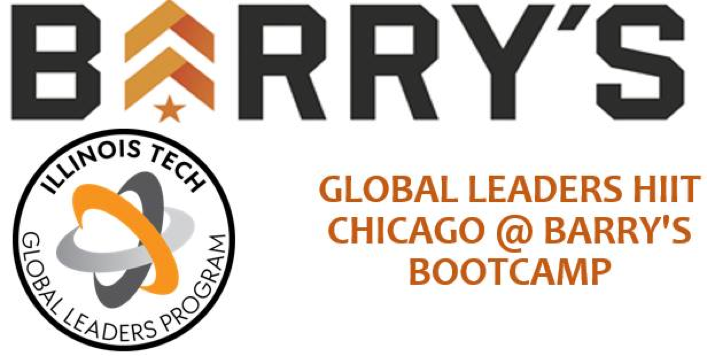 We quickly learned that we would not be able to have them come because Barry’s Bootcamp has their own Fuel Bar that would make it a conflict of interest. Pace Yourself. Throughout the project AND the workout class! We made sure not to promote too early to lose interest to people since our event was at the end of our 10 week class. Have fun! Our team was positive and encouraging throughout the whole quarter and we think that this was a key to our success! This event took place at Barcocina in Lakeview where attendees paid an entrance fee that allowed them unlimited beer, wine, and appetizers for three hours. A portion of ticket prices went to the venue and the remainder went to Chicago HOPES for Kids. 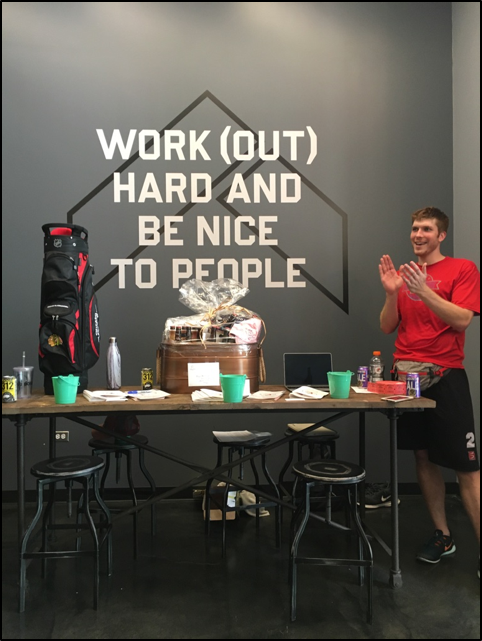 There was silent auction at the event in which participants had a chance to win Blackhawks/Cubs memorabilia. We also collected book donations at the event that were donated to our charity. Chicago HOPES for Kids utilized collections of books to help children living in homeless shelters advance their literacy skills. We coordinated a book drive through the Elmhurst Public Library to add to these collections. 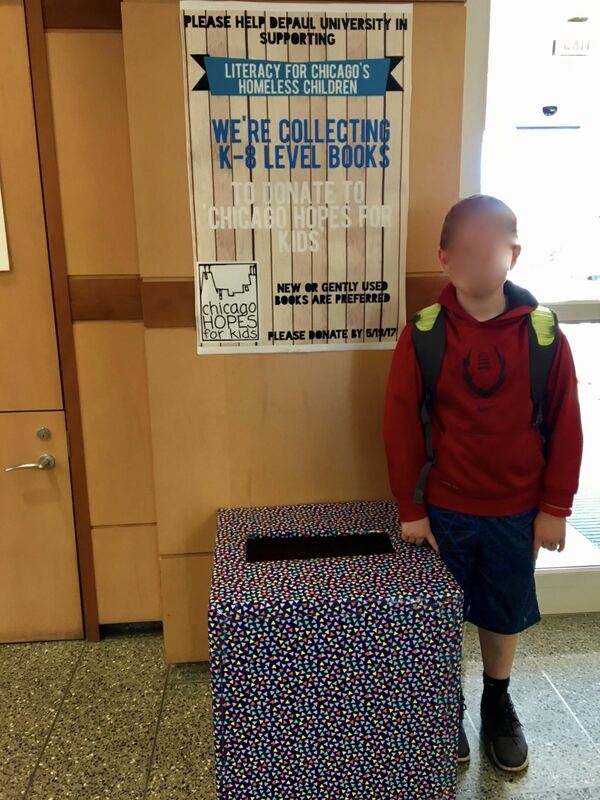 This was done by raising awareness of the book drive in the community and setting up a donation bin in the library entrance. Our team set up an online donation page through GoFundMe to diversify our revenue streams in addition to what was raised at the main event. 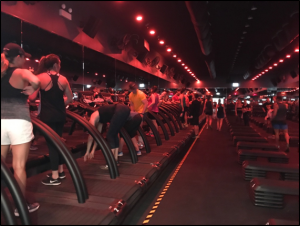 This was an easy way for friends, family, and others interested in supporting the cause to donate even if they were unable to attend the main event. 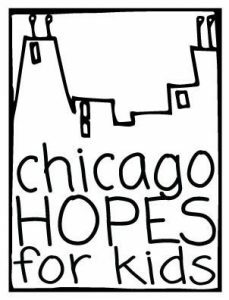 Chicago HOPES for Kids provides educational support for children living in Chicago’s homeless shelters. 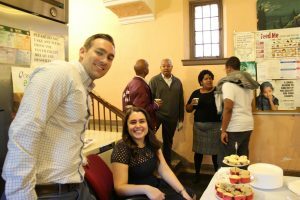 It is their mission to provide their students with the resources and encouragement needed to succeed academically, despite the challenges of homelessness. 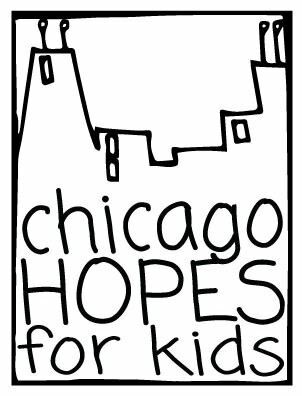 HOPES runs an after-school program where they help children complete their homework, improve their literacy skills, and participate in enrichment activities. We reached out to HOPES to gain approval for our event and obtained support resources such as signage and marketing materials prior to the event. At the conclusion of the project, we determined that our book drive, financial, and attendance goals were met. The book drive collected far more books than we had anticipated. Our initial goal of 100 books proved to be far too low in comparison to the final tally of 765 books. The only individual goal that was missed, was the goal for dollars raised at our event excluding the silent auction. 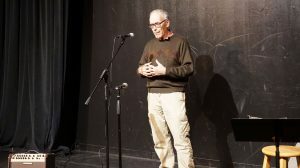 This shortfall was made up for by the larger than expected funds raised during the silent auction and through the online donation page. We faced numerous challenges during the book drive. One of these challenges was scope creep. Other libraries expressed interest in hosting book drives in other towns. 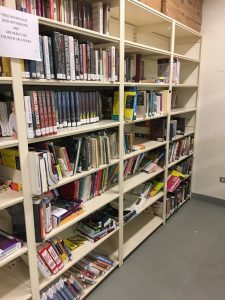 Working with these libraries would have made our logistical challenges more complex and possibly taken away from our ability to complete the current project at hand. 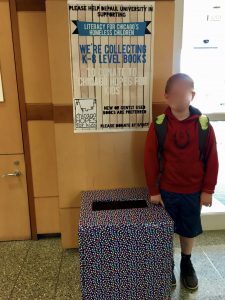 An additional challenge for the book drive was that some books were donated that were above an eighth grade reading level. These books were not able to be used in the after school program. 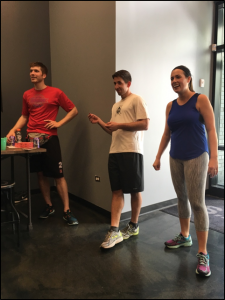 Additional challenges presented themselves during the Barcocina fundraising event. 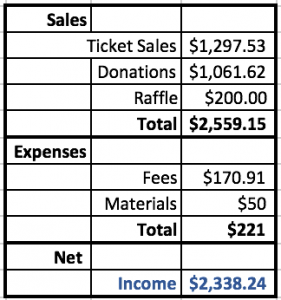 We initially had low levels of interest in donating and buying tickets. 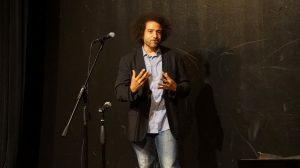 Luckily, interest picked up significantly during the couple of days before the event and 51 people ended up attending. We realized during the event that we did not have a good plan for transporting books that were donated. The number of books that were donated at the event itself turned out to be small enough that transportation was not a problem. 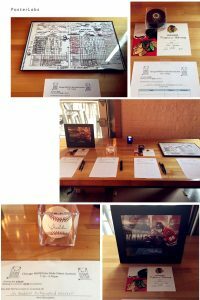 Lastly, we put more effort than anticipated into encouraging silent auction bids in order to get substantial donations. We would advise future students to spend as much time as possible going through the potential issues that may arise during their project. People tend to want to wait until the last minute to complete tasks and this can be a game changer if someone doesn’t come through as expected. We were lucky that the challenges posed to our event did not significantly alter the outcome. In the end we finished up with a successful project and a very happy charity. Chicago HOPES for Kids made sure to give us a mention on their Facebook page, and thanked us in person when we went to deliver the books. We are thankful to have worked with an organization with such an important mission and are proud of the work we did this quarter.